Every year, thousands of people are injured in vehicular accidents in Colorado alone. Many of these accidents are the result reckless or negligent behavior such as texting, speeding, careless driving, failing to obey traffic laws, and driving under the influence of alcohol or drugs. If you have suffered a personal injury in a car or motorcycle accident because of the fault of another driver, contact the accident attorneys at Aguero Law to discuss the details of your case and ensure that your legal rights are protected. As e-cigarettes, vape pens and similar products become more common, so do explosions of the lithium-ion batteries that power these products. If you have been injured by an exploding lithium-ion battery explosion or fire, contact us right away to discuss the details of your case. It is important to act quickly to preserve evidence and protect your rights as an injured party. A firm experienced in litigation relating to exploding lithium-ion batteries will be able to direct you on your best legal options. At Aguero Law, we have successfully represented individuals injured by exploding batteries and can bring that experience to your case. Cyclists love Colorado and the number of cyclists on the road continues to increase. Unfortunately, this has also led to a large increase in the number of accidents involving bicycles. 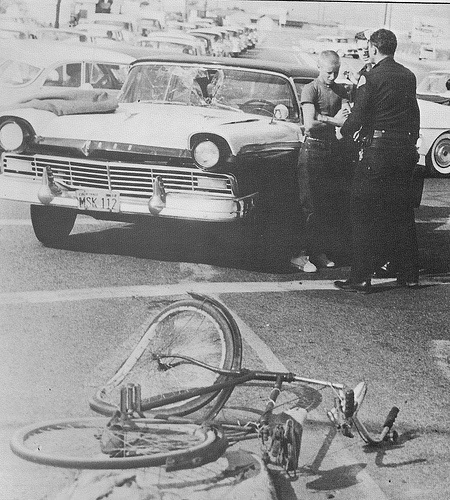 At Aguero Law, we have the experience and knowledge necessary to analyze the complexities bicycle accidents. Unlike most firms, we work with experts whose primary focus is bicycle accident reconstruction. This allows us identify all responsible parties and to recorder compensation for your injuries. If you have been injured in a bicycle accident, contact us today to discuss your legal options. Colorado Premises Liability Law is the liability landowners of real property have for certain injuries that occur on their property. Colorado premises liability law cases are often referred to as “slip and fall” cases but also include many other types of injuries that occur in residential and commercial property. Colorado landowners are responsible for maintaining safe conditions on their property and, in many cases, are liable to individuals who are injured on their property. Contact us today to discuss whether you are entitled to compensation for your injury. If you have suffered injuries due to the negligence of others, contact Aguero Law to discuss the details of your case. If we are not able to represent you we will provide referrals to attorneys who can better assist you. Our initial consultations are free and you will never be pressured.